The National have carved a singular niche as thinking person's stadium rockers. 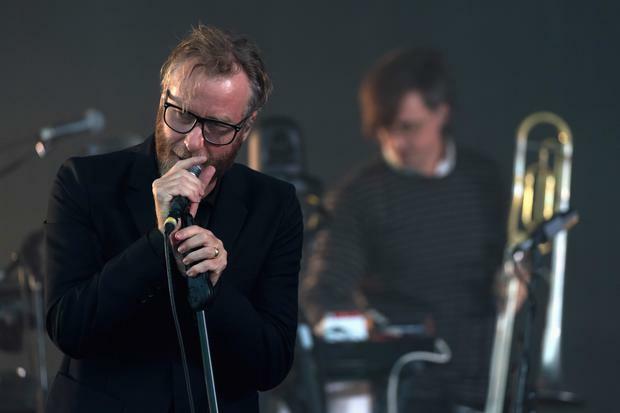 They certainly bring a formidable intelligence to their music, with guitarist Bryce Dessner a Yale graduate and singer Matt Berninger’s one-time New Yorker editor wife credited as co-lyricist on the group’s latest record. But erudition can be as much curse as blessing in rock ’n roll and the first of two dates at Vicar Street saw The National navigating, with visible care, the space between between plugged-in abandon and thoughtful venting. They were in town previewing their seventh album, Sleep Well Beast – a record which, with its more rough hewn textures, appears to have already divided fans. Live, the material gained in stature. Day I Die was a wrenching rumination on mortality and the finite span of even the most solid relationship; Turtleneck saw the five piece (augment by a duo of brass players) cut lose with charming abandon. A 22-song set wisely found space for hits too, such as the sonorously sad Bloodbuzz Ohio and the explosive Fake Empire, played at Barack Obama's victory speech in 2008 and, as Berninger reveals tonight, blasted from the tannoy when Donald Trump walked into the United Nations headquarters in New York over the weekend. Lisa Hannigan joined for several tunes, though there was no repeat of the Bon Iver cameo which had illuminated their performance the previous evening at Cork Opera House. Tellingly, however, the best moments were the most unadorned, with the scarecrow-limbed Berninger looking particularly comfortable navigating the minimalist swirl of Mistaken For Strangers and I Need My Girl.